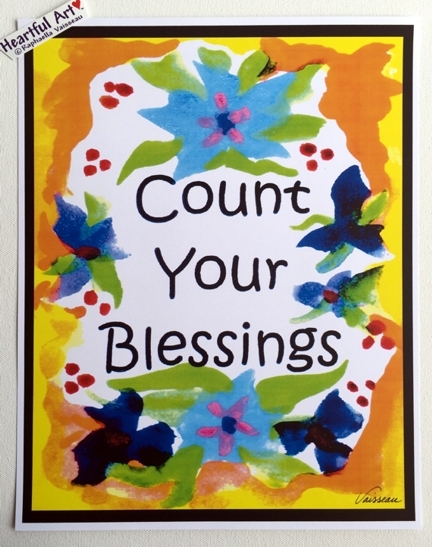 11x14 poster of Count Your Blessings with art by Raphaella Vaisseau. It's a beautiful thing to appreciate what you have, to look for the good. This simple reminder is a sweet gift for those in recovery, for the faithful, and for students of the law of attraction. Love what you have. Love who you are. Count your blessings. Look around, and find something to appreciate right this moment.